Amy Rogers greets triathletes at the finish line with congratulations and medal. 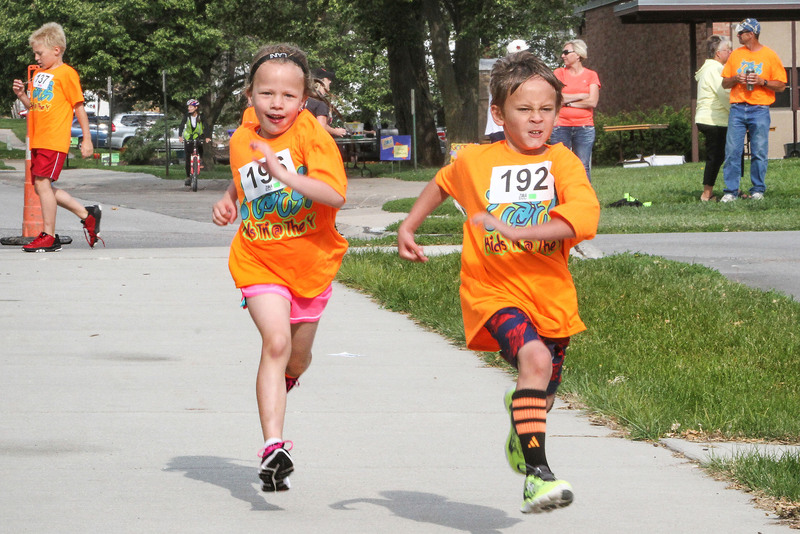 Youths from ages 5 to 15 swam, rode their bikes, and ran in Blair’s first youth triathlon on Saturday, June 14. Organizers Vickie Brummer, Denise Ray, and Sandy Moore could not have been more pleased with the nearly 100 participants and the 50 or so volunteers who made the event an success. 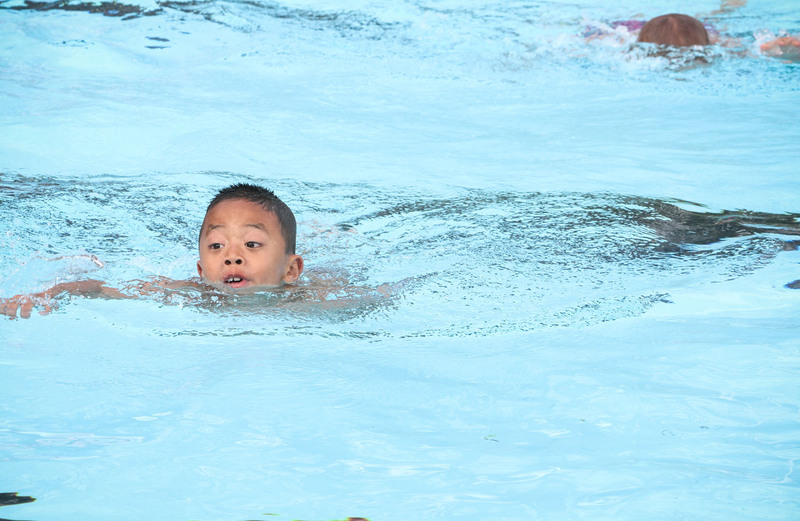 The participants were grouped by age into waves that first swam, and then transitioned to bicycle riding, and then running. “I am very proud of our community,” Brummer said. 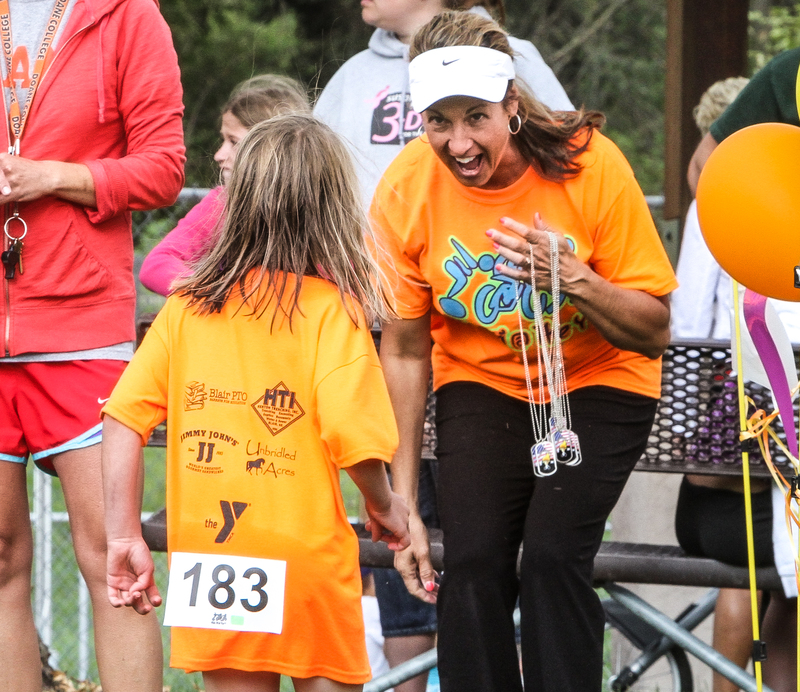 “From the volunteers, to sponsor, to the City for cooperating, and of course the Y…what a great event for our youth. During the race, Brummer said she received a text that one of the athlete’s bike chain had come offend needed help. Another text followed. Ray said 95 percent of the participants were first time triathletes! Zeke Prohaska swims the first part of the triathlon at the Blair pool. 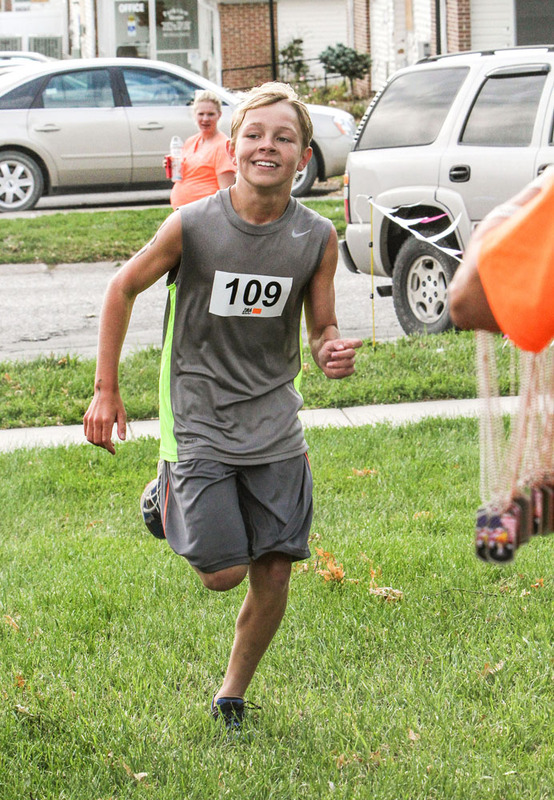 Sam Lueders was the first to finish the triathlon in 24 minutes. The competitors were not officially timed. 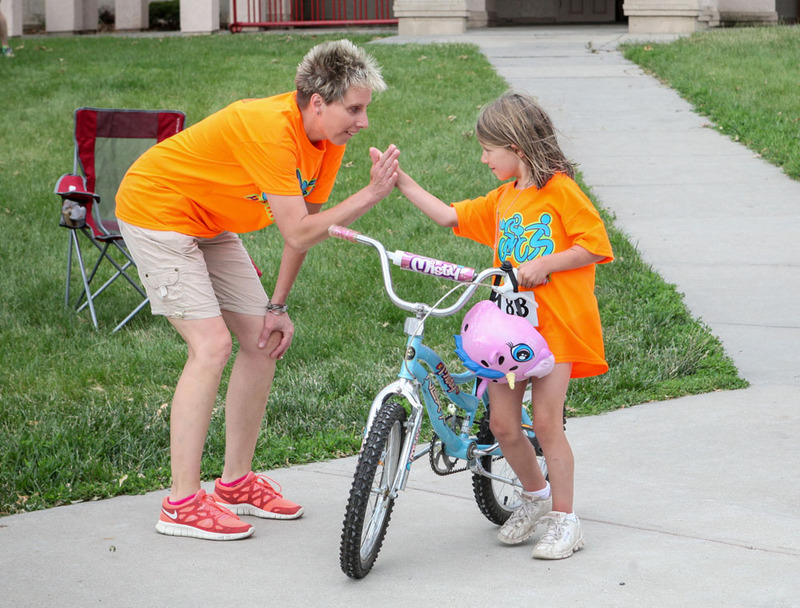 Race organizer Denise Ray gives Olivia Parsons a high five following the triathlon.